Do your rooms have damaged walls, or unsightly holes that need to be repaired? We can help. We can change your drywall textures, repair hole or cracks in your drywall, and revitalize your walls and ceilings to give your home a new look. Transform your home with our cost-effective and quality drywall repair services. 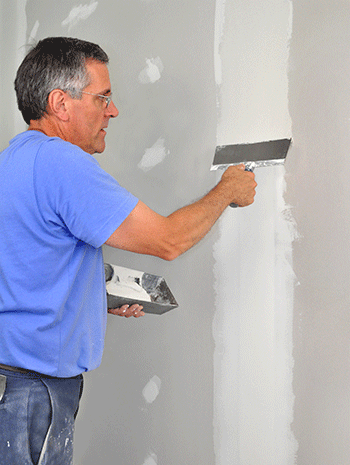 Before we begin your interior painting project, any damage to the drywall should be repaired. Repairing the dents and holes in your walls will bring a finished look to your home and help the paint last longer. For your drywall repair needs, call us at (732) 503-6259 we are a full-service drywall repair contractor, providing high quality and professional drywall service to both our residential and commercial clients.